TAL-Reverb-II, Software algorithmic reverb from Togu Audio Line. Togu Audio Line has updated TAL-Reverb-2 to version 1.60, which is said to feature a slightly improved algorithm (smoother sound, reduced hearable modulation). Also, the developer of kxstudio has compiled / ported all JUCE-based TAL plugins as 32- and 64-bit for Linux. They can be downloaded from SourceForge. LePou Plugins LeCab2 LePou Plugins has announced the release of LeCab2, a cabinet (guitar or bass) impulse loader which is the evolution of LeCab1. 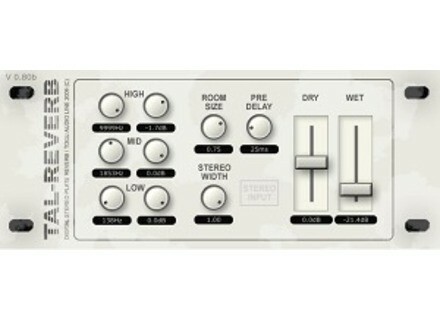 Dario Maffia V-DJM 2ch Dario Maffia has announced the release of V-DJM 2ch, a free VST effect 2 channel mixer with DJ functions for Windows.